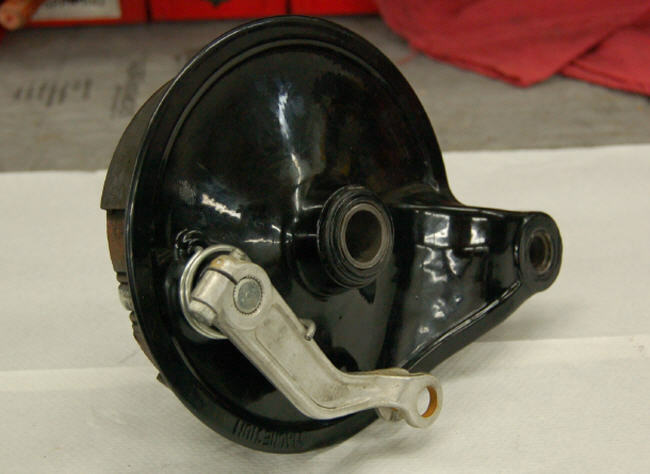 Floating Rear Brake maintenance is commonly overlooked and can have a significant impact on a bikes suspension and handling. 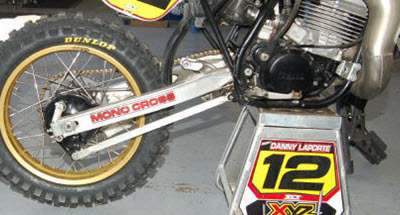 Floating brakes were common up through the 80s on both dirt and street/road race bikes. 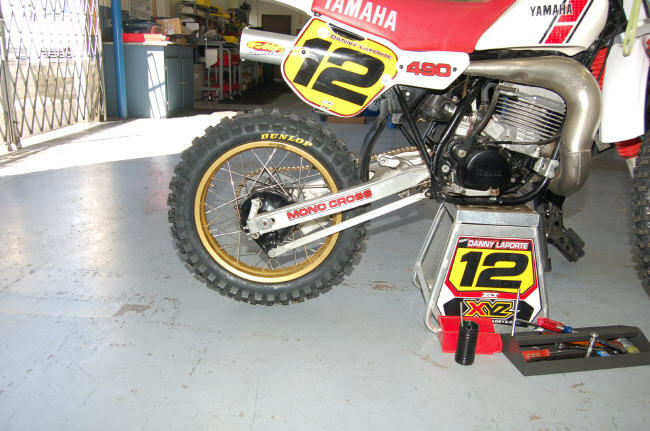 Now you might be thinking, "How would this backing plate have any effect on a bikes suspension?" 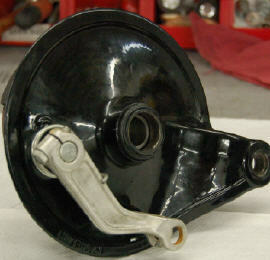 Since the brake "floats" it moves with respect to the rear axle as the suspension moves. 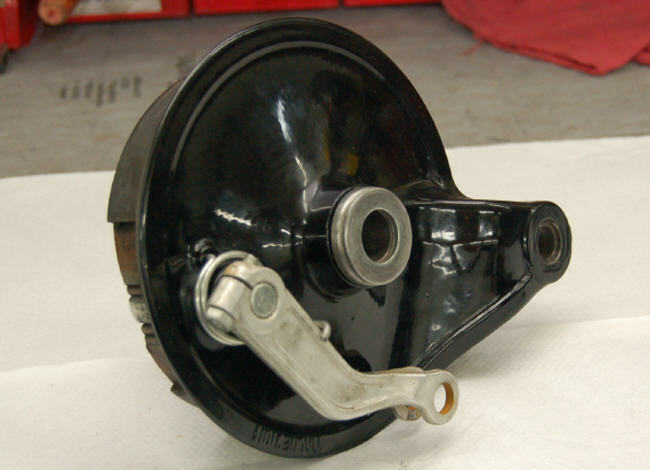 This means that when the backing plate bushing, or stay-arm pivots are bound up the suspension will barely move! Even the best suspension will work poorly when there is drag. 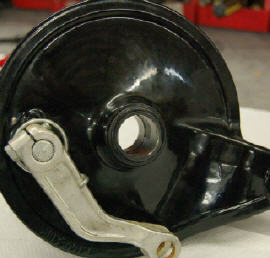 The main culprit is usually the Backing Plate Bushing itself. 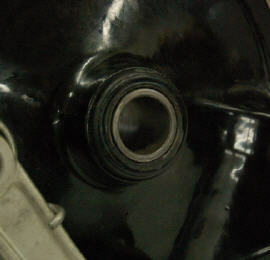 It is in the backing plate with the axle going through it. 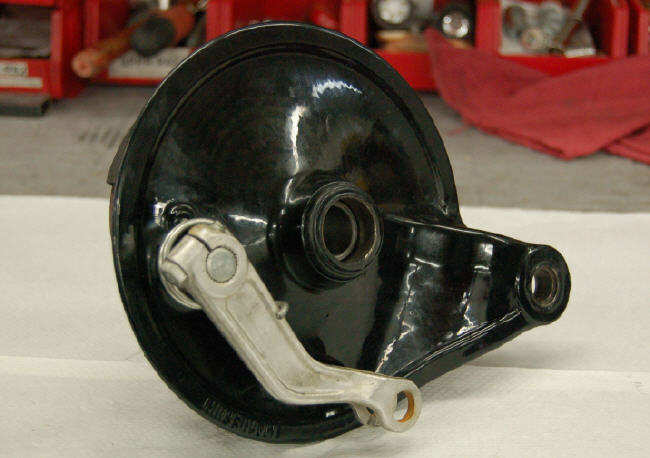 These can bind for one of two reasons; first the bushing is dry and/or corroded. 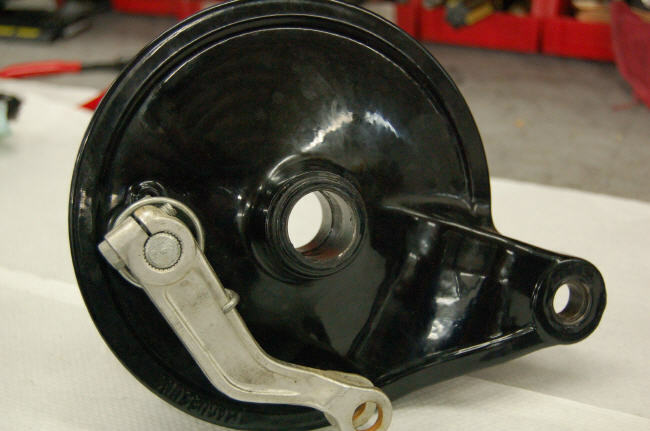 Second, sometimes the dust cap on the outside of the backing plate on the axle gets grooves in it (over-tightening the rear axle or long-term wear) so when the axle is tightened it no longer has clearance. Maintenance is pretty straight-forward; clean, inspect, grease. On the other hand, if the dust cap is grooved you will either need to replace it or figure out a way to get the clearance back (sometimes machining is required). Next check the bearings at both ends of the stay-arm. These are all pretty simple; either spherical ball bearings, needle bearings or plain bushings. Take them apart, inspect , replace if needed, and grease 'em up. 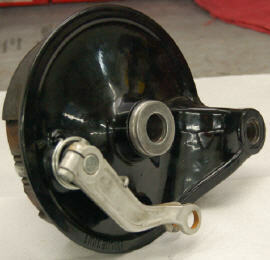 You should be able to freely spin the backing plate with the rear axle tight and the stay-arm off. This is commonly overlooked and can reap huge rewards with a little love. Sometimes the Dust Seal gets grooved where the Bushing hits it. If this is the case it will seem fine but will bind when the axle is tightened. This may require machining.